Quorn Plumber: LE7, LE11, LE12. Synergy Plumbing Services | Loughborough Plumbers. Synergy Plumbing Services. If you need plumbing assistance, Synergy Plumbing Services are your local plumbers. We can help with a variety of issues so please let us know how we can help. We are pleased to offer coverage for Quorn residents. Please get in touch and we can discuss your issue or project. If you rent a property in Quorn and require some additional support to fix a leak or a blockage, we can help. Synergy can work witheither yourself, or your landlord to provide the most cost-effective solution without any fuss. We can provide evaluations and quotations for your information. Synergy Plumbing Services have an excellent track record, working with landlords throughout Leicestershire. We can support Landlords in Quorn by offering regular scheduled maintenance. It takes a massive load off when you delegate boiler maintenance and other plumbing checks to us. 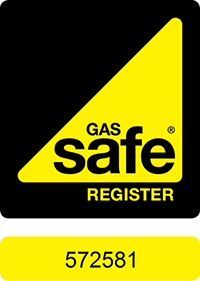 We are Gas Safe registered and highly efficient. We don’t leave mess and we are well reviewed throughout the web. To discuss how we can help maintain standards in your property please get in touch. Few things can halt the smooth trading of a business or a restaurant like plumbing issues can. Synergy provide a wealth of experience with pipes and drainage, through to kitchens and bathrooms. If you have nagging problems in your business or restaurant in Quorn, don’t wait until a nag becomes a shout. Calling a Plumber sooner rather than later often saves a lot of money in the long run as we can prevent more significant issues from developing. To get plumbing support for your business, talk to your local team at Synergy. If you live in Quorn or the surrounding areas such as Woodhouse or Barrow upon Soar, Synergy is just minutes away. We are well recommended and reviewed throughout the web – including Google and Facebook, and offer the best rates based on an honest assessment. Sometimes we can fix seemingly huge issue with a simple replacement of parts. We are also available for task such as Shower Installations, Appliance Installations, Kitchen and Bathroom Refurbishment, Radiator and Power Flushing services – and so much more. Synergy Plumbing Services are your local experts. How can we help you? Efficient helpful and very friendly, sorted out someones bad plumbing in my bathroom for me and have 2 more jobs lined up, would recommend , great guys. If you are suffering with a drainage issue or if the water is just not heating up, let us get you the help you need. Whether you find you are suffering from a blocked sink or even a slow draining bath, your local plumbing team is here to help. Many property owners in Shepshed are often unaware that they may be responsible for the sewer pipes too. If you would like us to find out, on your behalf, if you have repsonsibility for this, or even shared responsibility, please do get in touch. We often help prospective new homeowners to evaluate their plumbing too. The honest truth is that drain and plumbing problems don’t fix themselves and if they are left alone, they just become large and more costly to fix. Why suffer? Keep your health and safety levels in check and call on the trusted engineers at Synergy Plumbing Services. No fuss, no hassle. Job done. We are ready and available here in Shepshed to provide the quality plumbing service you deserve. Please call or use the form below to make an enquiry. Easy!